In Andy’s Story Parts One, Two and Three, we looked at his cluster of health issues, how I went about finding the root cause and whether his hospital treatment was adequate. We identified inflammation as the main problem to be addressed if he was to reclaim his health – since inflammation results in insulin resistance, the hallmark of metabolic disease. Now, in Part Four of Andy’s Story, I will explain how we went about treating his inflammation. Before I proceed, you might be wondering why we’d want to resolve inflammation at all, since surely inflammation is the natural process which prepares your body for healing and repair? The answer is that inflammation is indeed essential for healing, but not the chronic type. If you cut your finger, this results in redness and swelling, with the area becoming warm and tender. This kind of acute inflammatory response represents your body’s action to mobilise an army of immune cells towards the injured area. The blood vessels allow more fluids and white cells into the tissue, cleaning the area and removing debris in preparation for healing. So yes, acute inflammation is crucial for our health and well-being. But the immune system does us harm when it switches from acute to chronic mode, with purposeless, low-grade, ever-continuing inflammation the root of many chronic diseases. As we’ve already seen, chronic inflammation had taken a great toll on Andy’s body, interfering with its use of fuels and generation of energy. Diet, supplements, genetics & fillings! My first step was to make Andy fully aware of our treatment goals: to turn inflammation off in order to make his cells sensitive once again to the action of insulin. This would hopefully reduce his insulin levels and initiate the healing process. As mentioned in my last post, Andy replaced his poor diet with a much healthier alternative, with great effect. I prescribed supplements to cover his nutritional deficiencies – especially vitamin D.
We’d also diagnosed weaknesses in Andy’s abilities to activate vitamin B12 and folate. This is related to a genetic defect (MTHFR) that results in an accumulation of a toxic metabolite (homocysteine), putting Andy at risk of heart disease. The genetic issues required full methylation support with an active form of vitamin B12 and folate. Following that, Andy had successful chelation therapy with DMSA that greatly reduced his mercury load. For further action, I referred him to a biological dentist to remove the amalgam that had resulted in such high mercury levels in his body. This not only reduced inflammation but would lay a strong foundation for lifelong health and vitality. The rest of Andy’s inflammation was centred round his belly fat – and it’s on this that I’ll focus in the remainder of this post. Visceral fat (meaning fat relating to organs) is essentially endocrine tissue which produces a wide variety of hormones and inflammatory cytokines. Andy was aware of the great challenge involved in resolving his inflammatory belly fat: the need for discipline and an effective diet regime. The common factor amongst these options is their effectiveness in lowering insulin levels. This is crucial, especially in a complicated case like Andy’s, where I wanted his insulin levels as low as possible. Let’s take each of these diets in turn. Applying a low-calorie diet to reduce visceral fat was the focus of Professor Roy Taylor at Newcastle University. In a ground-breaking study, Prof Taylor prescribed a diet for 11 type 2 diabetics over eight weeks. The participants were given a soup of 200 calories at breakfast and lunch, and allowed equivalent calories of non-starchy vegetables at dinner time. The patients had to stop taking their diabetic medications from the second week. At the end of the study, all 11 patients had reverted to normal blood glucose levels. Eight of the 11 stayed at the same levels at the three-month mark. So, Prof Taylor confirmed the benefits of a low-calorie diet in reducing visceral fat. And he used MRI scans to show visceral fat shrinkage in the study participants, which helped to cure them of diabetes. With such notable success, Prof Taylor was encouraged to set up a website to help type 2 diabetics reverse their condition. Surprisingly, many were able to normalise their blood sugar levels, simply by following the advice on the website. This is our hunter/gatherer caveman ancestor’s diet – the natural food programmed in our genes on which our bodies thrive. 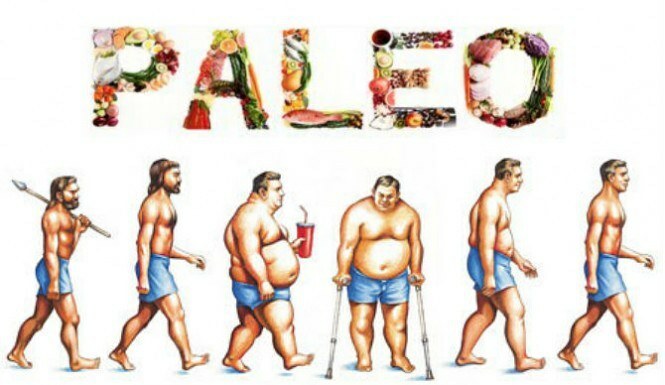 A paleo diet is rich in protein, fat, vegetables and fruits. It’s a combination of meat, eggs, fish and seafood, nuts, seeds and healthy oils which helped our ancestors stay fully active. It does not include grains, legumes or potatoes. It generally provides 35% fat, 35% carbohydrates, 30% protein and is rich in vitamins and minerals. Such a balanced diet today would encourage our bodies to burn both sugar and fat as a vital source of energy, reducing body fat in general and visceral fat in particular. This would settle inflammation greatly and enhance insulin sensitivity. People generally assume a paleo diet is the equivalent of the Atkins diet, but it’s not. The Atkins diet is rich in fat and protein but very low in carbs. The high protein content of Atkins diet puts great pressure on your liver and kidneys, while the paleo diet consists of equal proportions of protein, fat and carbs. Dr Mark Hyman introduced a new diet, which he called ‘Pegan’. As the name implies, it’s a combination of a paleo and vegan diet. It includes grass-fed animal products but also low glycaemic organic fruit and vegetables. A pegan diet is rich in protein and essential fatty acids, particularly low mercury fish, seeds, nuts and olive oil. As a pegan, you should avoid grains and beans because of their high carb content. Even gluten-free wholegrain can raise your blood sugar and result in obesity and diabetes. You also need to stay away from dairy and cheap vegetable oils. This is the ultimate formula to lose weight, reduce abdomen fat and reverse diabetes: the perfect battle to ensure a final victory against insulin. You cannot lose fat whist insulin, the fat storage hormone, is on the stage. You must bring your insulin down and keep it down most of the time. Intermittent fasting starts with 48 hours of water or green juice. The first 24 hours burns the sugar in your blood. The next 24 hours burns the sugar stored in your liver and muscles. At this stage, your body should start burning fat as there’s no other option. To stay a fat burner, you need to fast intermittently to rid your body of accumulating glucose. A 24-hour fast once every week would suffice. Alternatively, you could prolong your daily fast by omitting breakfast, allowing a daily 16-hours fast by moving your first meal of the day to noon. Burning fat in this way will result in weight loss accompanied by other health benefits. Your blood pressure, blood sugar and cholesterol will come down within normal levels. Andy chose a pegan diet, supplemented by intermittent fasting. By adopting this, he lost a considerable amount of visceral fat. This in turn reduced his inflammation level and reinstated his insulin sensitivity. He went back to enjoy normal blood pressure, blood sugar and cholesterol on no medication. It was a happy result for Andy and his family which raised a big question: could he now consider himself fully cured and stop worrying about his diabetes? I wouldn’t have dared to advise that Andy was cured at that stage, as diabetes is a serious condition which could strike again at any time. It would have been negligent to give Andy a false sense of security too early. I recognised that Andy’s diabetes was in remission, but he had to stay closely monitored for at least a full year before he could be given the all-clear. Andy was indeed closely monitored by his GP. And his HbA1C (a reliable marker of diabetes) has stayed under 5.7 over the last two years, on no diabetic medications. The American Diabetic Society defines partial remission as HbA1C of less than 6.5 – and complete remission as HbA1C of less than 6.0 – on regular tests over a full year, on no diabetic medication. So Andy has more than achieved that. And he deserves huge congratulations for that result. We can declare him in complete remission, if not fully cured. I’ve advised him to monitor his HbA1c once every six months for another couple of years before he can claim full cure status. Andy’s story is a great case example of what can be achieved by following the right lifestyle measures instead of relying on medication. I sincerely wish for Andy to stay well and enjoy the rest of his life with no further health problems. What’s up, this weekend is fastidious for me, since this occasion i am reading this enormous informative paragraph here at my residence. Hi there mates, how is all, and what you would like to say about this paragraph, in my view its truly remarkable designed for me.